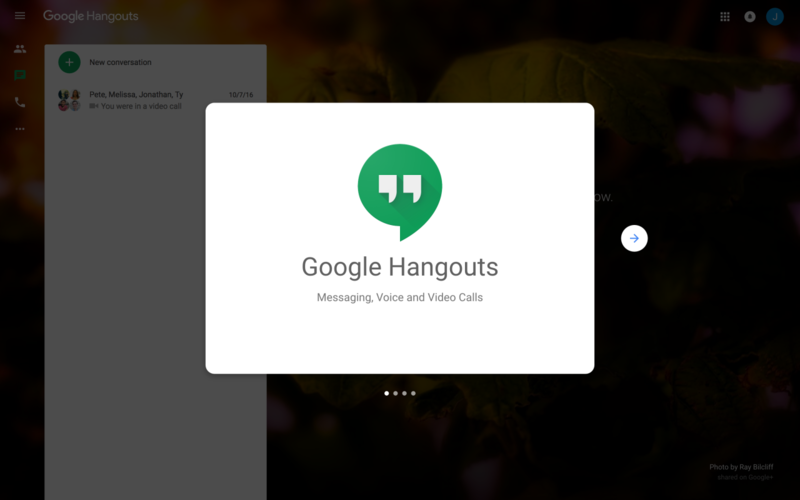 Google Hangouts uses a classic modal series to welcome and onboard new users. 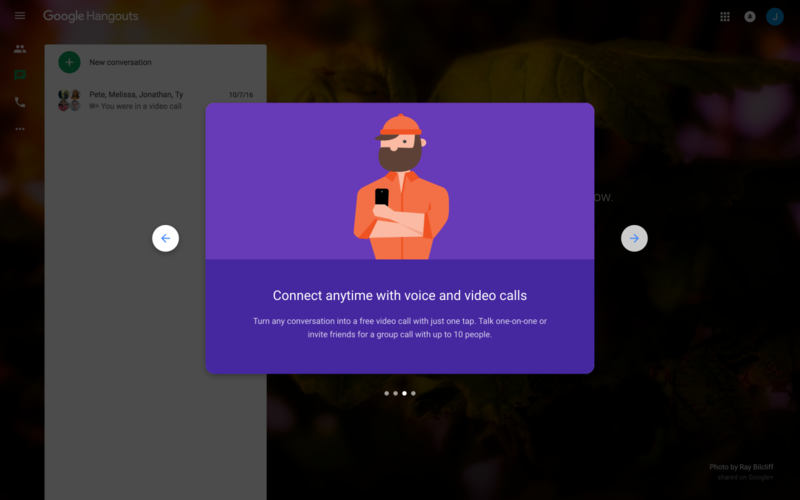 Google often uses them throughout its suite of products to show off key features and highlights. 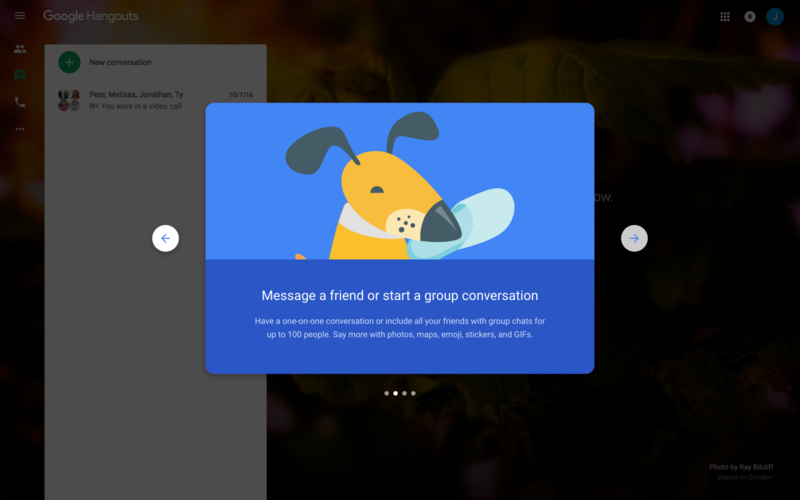 ‍The first welcome message makes it very clear that users are in the right place: Hangouts. 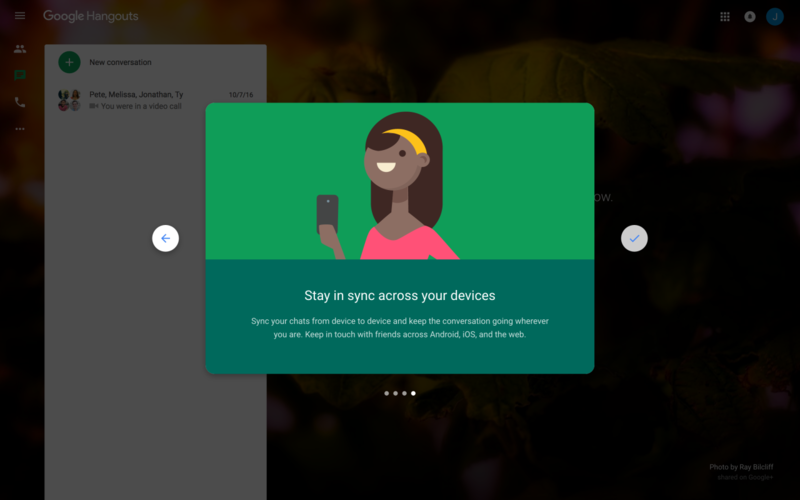 This can help orientate users, especially since Google has so many integrated products with similar-looking branding. ‍The modal series provides a broad overview of the best features. The copy is short, and each window is image-heavy. ‍The dark gradient gives users a preview of how the product looks. ‍The progress dots along the bottom inform length. This is especially important for tours that are on the longer side (3+ steps).